Here you will find all you need to know of this eccentric telescope, including its history, its engineering, some of its observations, the difficulties of its handling and operation and even download a visitors pack. 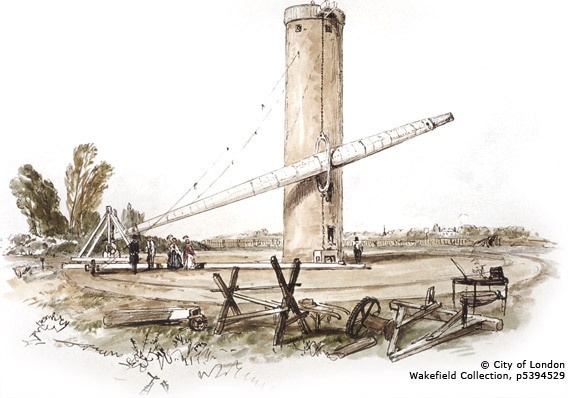 In 1852 the telescope stood on Wandsworth Common in London. It was the brain child of one man, the Reverend Mr. John Craig, and it represented the biggest refracting telescope in the World at that time. Whilst some would consider it "an expensive failure", we now have a much better understanding of this strange and cumbersome instrument and why it never fulfilled its promise despite employing the minds of some of the greatest engineers of the day.